There’s been a lot of discussion in politics revolving around redistribution of wealth and I can’t help but channel Francisco d’ Anconia from the popular 1950’s novel “Atlas Shrugged” by Ayn Rand. Every time I hear someone demonize wealth and prosperity I’m reminded of this speech. If you haven’t read this book, it’s a must read, that is if you have the patience to read a 1100 page book. The above is an excerpt from Atlas Shrugged, © Copyright, 1957, by Ayn Rand. It is reprinted with permission from the Estate of Ayn Rand. Russian born American novelist Ayn Rand is author of Atlas Shrugged and The Fountainhead and is originator of the philosophy of Objectivism. Wow, this book is incredibly long but very rich. There are some very good useful quotes in there. We were forced to dredge through parts of this book in school. I could hardly tolerate it or understand it but the one thing that always rang true to me was the philosophical tone supporting the strength of the individual. With regards to the spreading the wealth stuff, Rands ideals have been trampled on for years now. Obama is only the next person in line to fulfill the liberal “compassionate” America agenda. Did you read it Mack… can you explain why 52 years later it is the #33 best seller? Good post Skeptic and welcome to the site! I’ve read both Atlas Shrugged and Fountainhead. Both pretty good books that share several messages that bear truths that don’t change much over time. That said, when important points are to be made from the Libertarian camp, there are arguments that can be made from extremely contemporary and solidly supported foundations. The Heritage Foundation, The Beacon, Lew Rockwell.com, and most especially the Mises Institute, which champions Austrian economists such as Hayek, Von Mises, Rothbard, etc. All to often I hear Libertarians fall back on Rand novels, espousing fiction as reality. Now, a contemporary issue I’d like to hear some Libertarian philosophers or economists weigh in on, is: Assuming our tax code is not simplified, or if we don’t switch systems to the fair tax or some analogous system, should there be a mechanism forcing Corporations that are geographically located within the contiguous borders of the U.S. to pay their taxes. 70b of lost revenue (2002), is a lot of money. If those corps. use U.S. roads, and other tax payer supported entities then they should kick in as well. Now, switching gears to health care, what I can say with confidence at this point, is if we are to lower cost, their must be more choices than (2) as in Alabama. I’m not neccessarily against single payer either, but Obama, or other proponents, must do better, by way of explaining cost, than to vaguely allude to eliminating waste… Of course I realize I’m repeating what others have said on this blog. Lastly, how I believe we could save millions if not billions, is repealing the “three strikes” law. Taxpayers are supporting way to many non-violent offenders. I digress. Wow you read both of those. 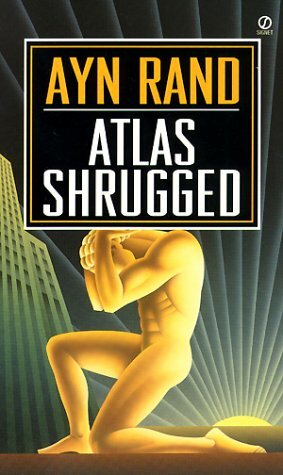 Is Fountainhead a monstrocity of the same magnitude that Atlas Shrugged is? Isnt it trial lawyers unions barricading any type of tort reform? How are US based corps not paying taxes? Dont forget those corps create the jobs with provide the treasury with all of their personal income taxes. Not to mention real estate taxes, personal prop taxes, etc etc. Im all for economic policy that can keep companies and jobs here, but not sure what can be done short of experts overhauling the corp tax code. They’re bound to find as many possible loopholes that they can considering our corp tax rates are so high compared to other nations. Good to hear from ya again.